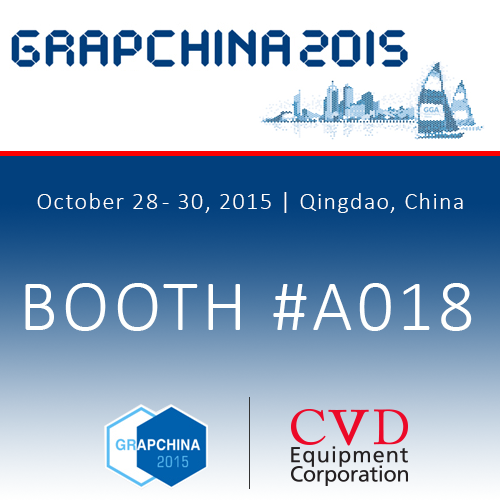 CVD Equipment Corporation, Booth #A018, cordially invites you to attend the exhibit held in conjunction with the GRAPChina 2015 conference this fall in Qingdao, China. The conference will focus on "Solutions for commercialization of graphene" as the theme to solve the problems above. According to industrial requirement, symposia are arranged based on various graphene application fields, in order to establish a deep communication and discussion between scientists and entrepreneurs from upstream and downstream industry on the commercial prospects of graphene application.